Round Up in Your Bones? Glyphosate is a non-selective herbicide, meaning it will kill most plants. 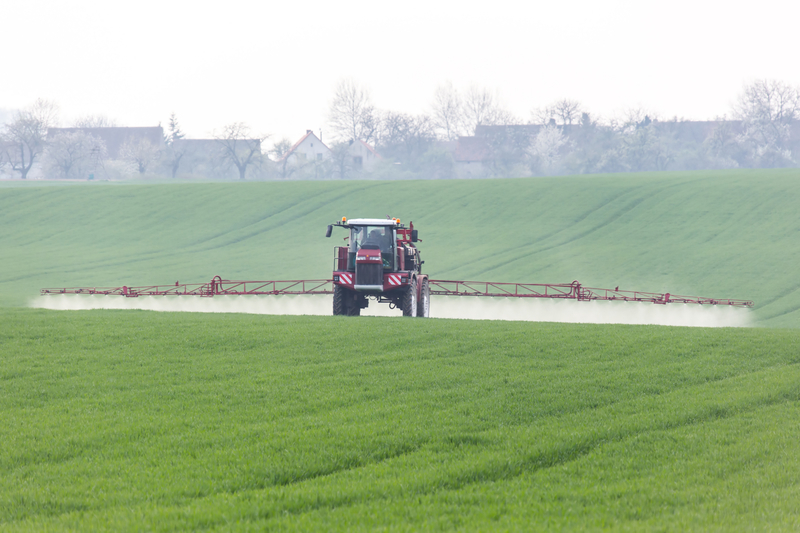 These herbicides are applied in large amounts to crops 2-3 times per season to remove weeds and then prior to harvesting to dry out the grain in a process called ‘desiccation.’ Glyphosate based herbicides are designed to specifically inhibit an enzymatic pathway unique to plants that interferes with protein synthesis and growth. Because this pathway only exists in plants and bacteria, not humans or animals, Roundup is assumed not to be harmful for people. However, glyphosate is increasingly accumulating in people’s bodies. This is because the chemical remains in leaves, grains or fruit and can’t be removed by washing, nor is it broken down by cooking. So if you are eating conventionally produced vegetables, fruits, corn, soy, potatoes or grains, you are ingesting glyphosate. It can also enter the body by direct absorption through the skin or by drinking water contaminated with glyphosate. Glyphosate when combined with the additional ingredients in Roundup and other herbicides, make it even more toxic than glyphosate alone. How can glyphosate affect your bones? 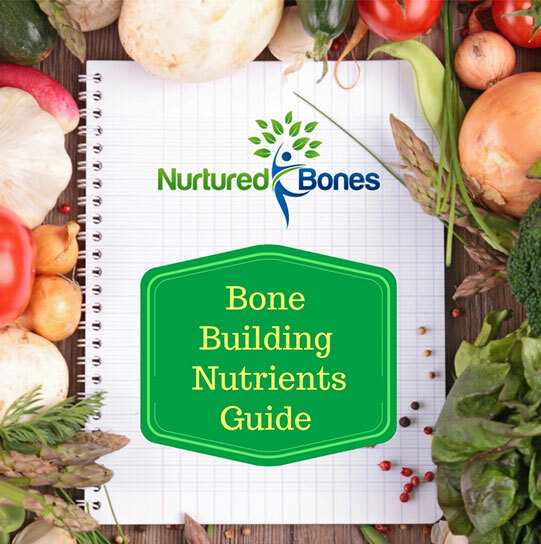 Although there are no studies linking glyphosate and bone loss or osteoporosis, there are several potential ways this chemical can negatively impact your bone health. Several studies have detected glyphosate in the intestine, liver, muscle, spleen and kidney tissue of animals and one study found glyphosate in the bone. Glyphosate is known to make a strong bond with calcium, so it would make sense that it would end up in the bone. Whether it’s presence damages the bone is unknown. Because it kills bacteria as well as plants, glyphosate has an antibiotic effect and can interfere with the health of your gut microbiota. Emerging research indicates that a healthy gut microbiota can positively influence bone mass. Oxidative stress, or the production of free radicals, inhibits new bone formation, accelerates bone turnover which leads to bone loss. Glyphosate is known to inhibit cytochrome P450 enzymes in the liver which is necessary to create the active form of vitamin D which is necessary to aid in calcium absorption. 1. Eat organic ingredients and products to reduce your exposure to all herbicides. 2. Avoid all Genetically Modified Foods (GMO). Most GMO crops are developed to be ‘Roundup Ready’, meaning that the plant won’t die when exposed to glyphosate. 3. Get plenty of probiotics in your diet through eating fermented foods such as Kefir, yogurt, fermented vegetables, sauerkraut, Kimchi, Kombucha, miso. You can also take a daily probiotic supplement. 4. Load up on anti-oxidant rich foods such as blueberries, dark chocolate, pecans, artichokes, kidney beans, and green tea. 5. Support liver detoxification. Foods like garlic, citrus fruits, cruciferous vegetables, walnuts, beets, green tea all support the liver’s natural ability to expel toxins from the body. Although there is no direct evidence that glyphosates induce bone loss, there is plenty of reason to be concerned about this chemical accumulating not only in our plants, but our soil, our water and our bodies.